A mix of scales and building types, shapes a variety of well defined spaces. Through a number of workshops, Tovatt Architects and Planners together with the client and Den Haag local authorities have developed one of the subareas within the masterplan for Moerwijk zuid of Palmboom & van der Bout. The first two blocks within the subarea includes several building typologies around a raised courtyard with parking underneath. A mixed tenure of private and rental apartments and terraced houses is provided as well as commercial functions at ground floor in key locations. Project type: Masterplan refinements and detailed design for two housing blocks. 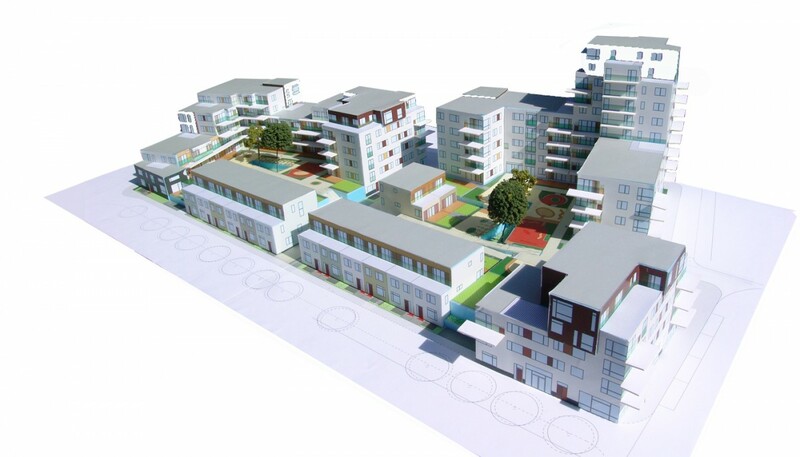 Program: 50 private units, 50 rental units and 15 terraced houses. Please Johannes Tovatt if you want to know more about the project or how we work with projects from urban to detailed design. 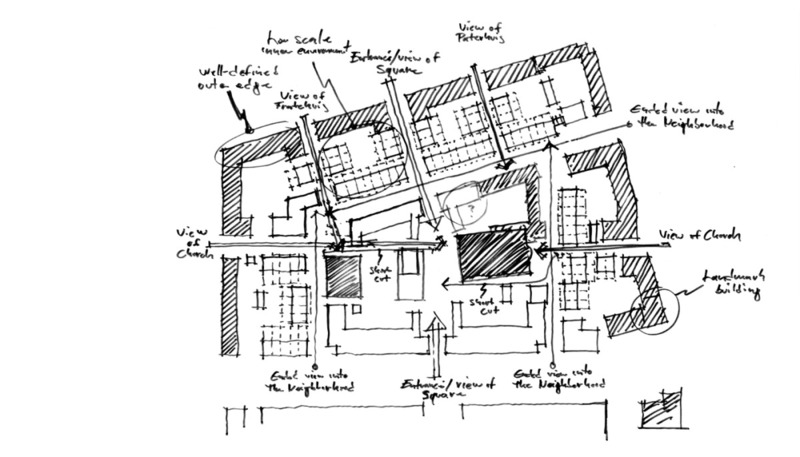 Sketch of the subarea with the two blocks to the right.